These healthy Egg Free Breakfasts are perfect for those of you who have an egg allergy or just don’t like them! Protein but no egg breakfasts are hard to come by, but I’ve pulled together a list of healthy breakfasts for you that have no eggs! 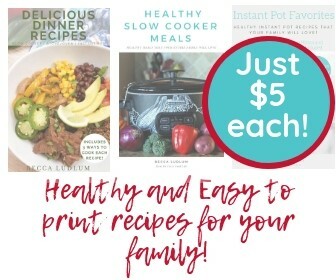 All recipes are 21 Day Fix friendly. Some people don’t like eggs, others have allergy issues to deal with, whatever the reason I have got you covered! These healthy no egg breakfasts are delicious and still an excellent way to start your day. I’m including some dairy free options as well for those of you who need options that are both egg free and dairy free. 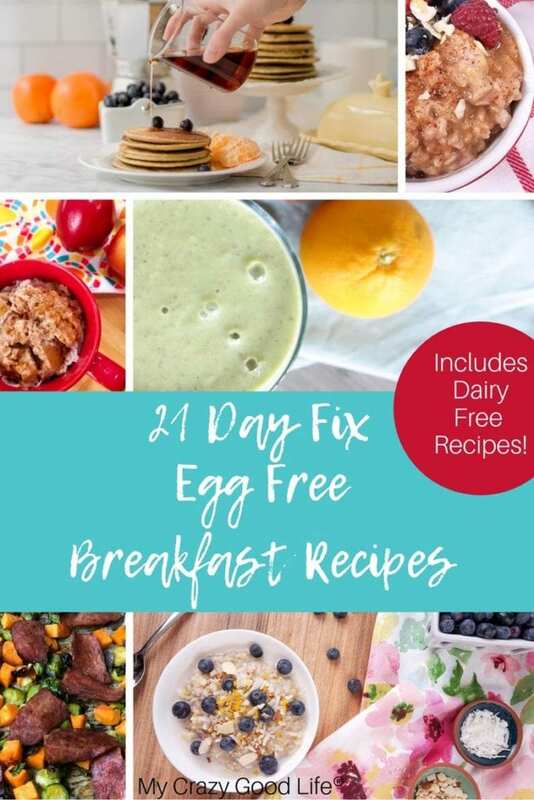 Are all of these egg free breakfasts 21 Day Fix approved? Yes! All of the recipes you’ll find in these categories below are 21 Day Fix approved and have their container counts included. There’s no guess work involved and you’ll know exactly how to track these healthy no egg breakfasts. Can I meal prep these 21 Day Fix egg free breakfasts? Some of these delicious no egg breakfast recipes will be great for meal prep. I like to prep things like baked oatmeal ahead of time! Instant Pot Yogurt | Homemade yogurt is a breeze with the Instant Pot. I make a batch of this and then mix up the toppings throughout the week for a variety of delicious combos in the morning. Coconut Overnight Oats | Overnight oats are so easy to prep the night before, and the entire family loves to customize them. Fig Breakfast Bowls | Breakfast bowls don’t have to include eggs for protein. These fig breakfast bowls are a perfect choice for 21 Day Fix egg free breakfasts. Pumpkin Pie Yogurt Parfaits | Pumpkin isn’t just for fall! 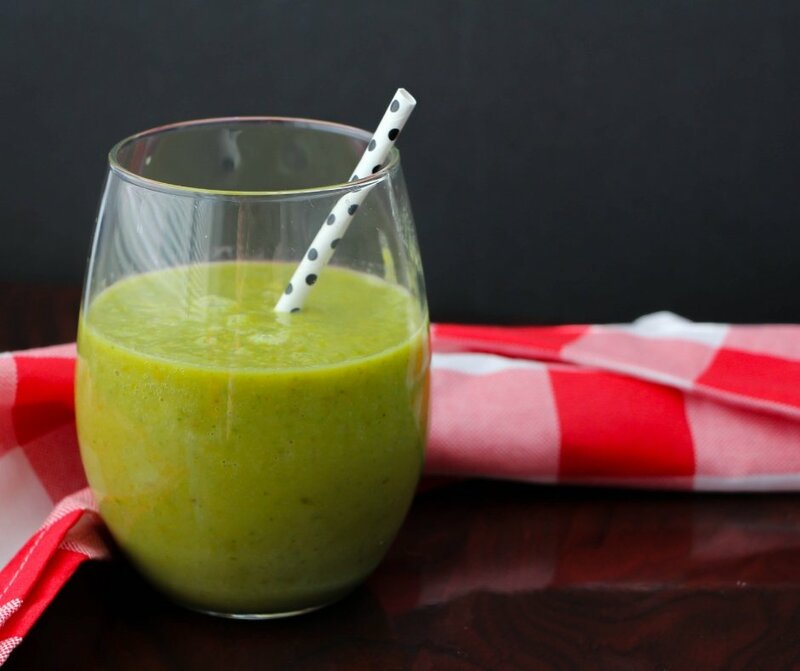 This is a great egg free breakfast choice year round! Coconut Overnight Oats | If you like something a little sweet for breakfast give these overnight oats a try! 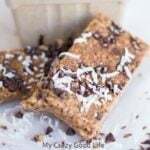 They’re easy (hello overnight success) and they are great for those busy mornings on the go. Blueberry Overnight Oats | So filling and easy to grab and go! Blueberries are delicious in this recipe! 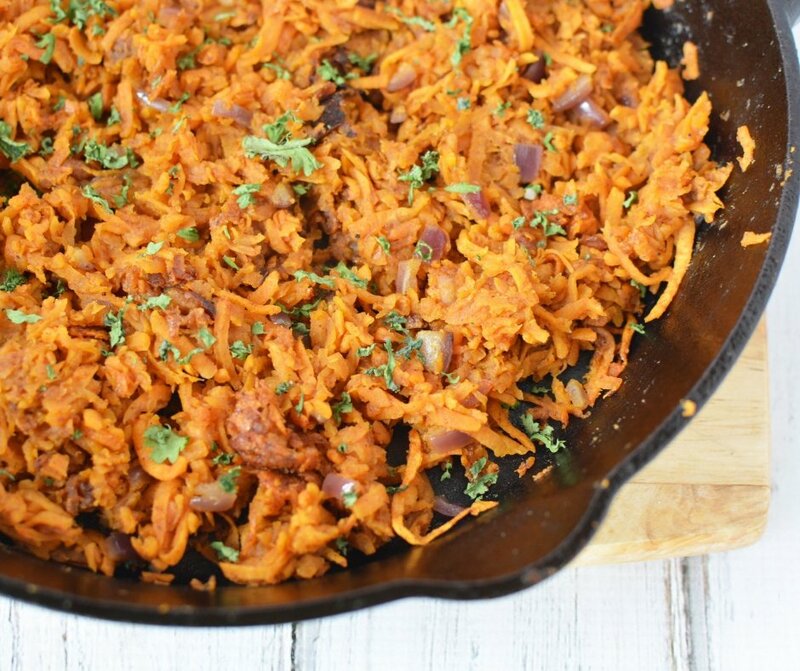 These recipes are both dairy and egg free, or very easily adaptable to make them so. Flour free pancakes are the a delicious and healthy breakfast recipe. They're filling and a great way to start the day. These can easily be made into dairy free pancakes by omitting the cottage cheese and adding in a banana instead. These Instant Pot Blueberry Steel Cut Oats are a healthy breakfast recipe! Steel Cut Oats are a perfect meal prep breakfast for the 21 Day Fix, and this recipe can easily be made in your crock pot or on the stove, as well. Sheet Pan Breakfast | Skip the eggs to make this a delicious dairy and egg free breakfast! Blueberry Pistachio Overnight Oats | Stephanie is amazing at mixing the perfect flavors, and she does it again with this amazing breakfast recipe! Instant Pot Apple Crisp | I love making this for breakfast. It’s egg free, dairy free, and gluten free too. More like dessert than breakfast which is never a bad thing in my book! 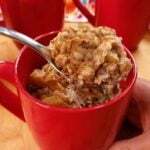 Hummingbird Cake Overnight Oats | Cinnamon, pineapple, and pecans make this delicious breakfast a family favorite! Cranberry and Apple Pie Overnight Oats | I love these fall flavors combined! Clementine and Cocoa Overnight Oats | I love the flavors in this breakfast!! Definitely something different, and it definitely satisfies a sweet tooth! Instant Pot Peanut Butter Steel Cut Oats | Top these with bananas and it’s amazing! Pumpkin Breakfast Cookies Skip the chocolate chips in this recipe (or sub them for something equally as delicious) to make this recipe dairy free too! Pumpkin Spice Protein Shake | Another great shake recipe for those of you who need 21 Day Fix egg free breakfasts on the go! Pecan Stuffed Apples with Cinnamon | Let’s talk about how this dairy free egg free breakfast choice is almost like eating dessert for breakfast! Instant Pot Apple Crisp | Dairy free, egg free, and 21 Day Fix friendly. Such a tasty way to start the day. Instant Pot Breakfast Quinoa | I love this quinoa because it’s such a different texture than oatmeal. It’s great for a change!